Unlock4Dealers has launched its own Remote Software Unlock service. Unlock4Dealers has endeavors to move with the times and launched its own "Remote Software Unlock" project this Winter! This new remote software will be supported and updated by our techs on a regular basis to support the latest and most difficult to unlock cell phones and ensure that all you our dealers stay in complete control of future unlocking needs. With the new security and protection it becomes ever more challenging to unlock cell phones but with Unlock4Dealers Team, you're guaranteed a top notch Live Tech on Instant Chat to help you with the process. We’ve got great news for AT&T Samsung owners unhappy with their current contract and seeking a way out! This release will Remove the Google Account or sCloud Password of any Samsung Galaxy Including: S7 | S7 EDGE | TABLETS [are also supported]. Absolutely all versions, networks, and country are supported. 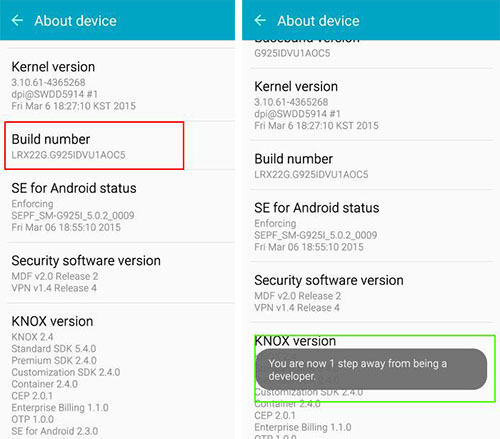 Including the Samsung Galaxy S6 / S6 Edge with the “Android Device Unlock App“. Turnaround time is instant, 24/7! No need to wait to receive your code! For Live Tech support assistance view operating hours here. – Samsung USB Driver for Windows. After tapping the build number 7 times, you will be notified “You are now a developer“. You will now have an option under “Apps” > “Settings” called “Developer options” where you can enable or disable the “USB debugging” option. 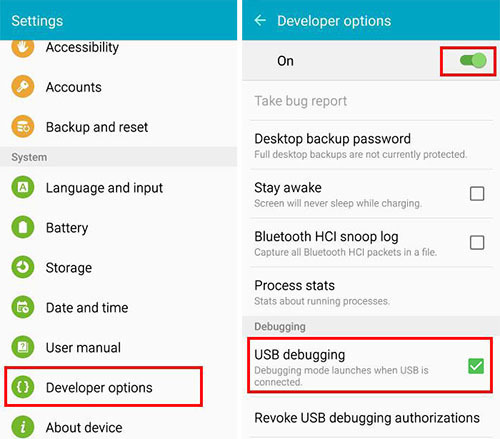 2 – Enable USB Debugging, by opening "Settings" > "Developers Option" > "USB Debugging"
Troubleshooting & Frequently Asked Questions: Software Unlocking FAQ ?